The 6.5 PRC, shown here with a Montana Rifle Company AHR, is equally at home in the hunting fields as well as the shooting range. “Six-five.” There was a time where that phrase didn’t roll off everyone’s tongue so readily. The bore diameter has been with us since the end of the 19th century, though here in America the metric cartridges haven’t exactly had the strongest of followings. 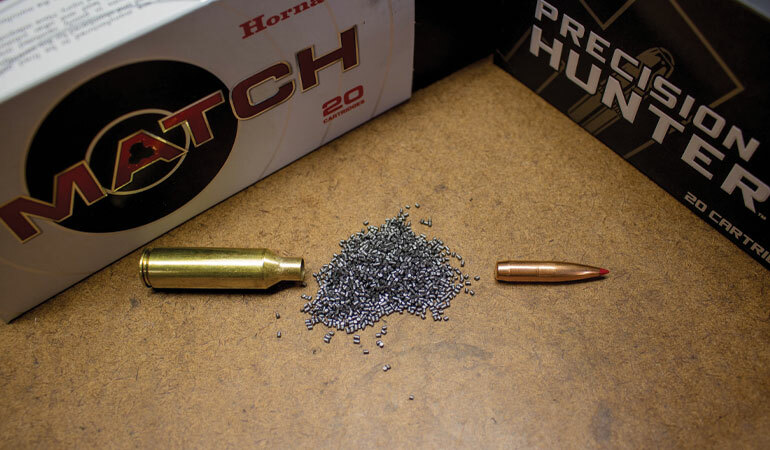 Nonetheless, the marketing and ballistic success of the 6.5 Creedmoor has brought the bore diameter to the forefront, and so many of us have finally seen the benefits of the combination of high Ballistic Coefficient bullets and a fast twist rate. With a short, fat powder column, the 6.5 PRC has the configuration that is equated with accuracy. 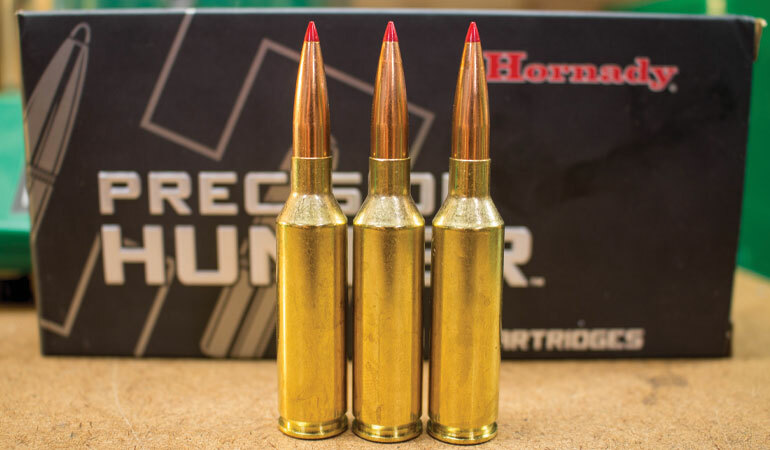 The Creedmoor was Hornady’s baby, being based on the .30 T/C cartridge, and offers a great blend of down range performance and low recoil. Yet, there are those who have wished for a bit more velocity, to take the Creedmoor concept – also perfectly embodied in the 6.5x55 Swede – to the next level. At the 2018 SHOT Show Hornady announced their latest cartridge: the 6.5 PRC, or Precision Rifle Cartridge. The 6.5 PRC (L) and its parent, the .300 Ruger Compact Magnum (R). Built and named for the Precision Rifle Series, the 6.5 PRC is based on the relatively unknown .300 Ruger Compact Magnum, necked down to hold 6.5mm bullets. It offers a 250 fps velocity boost over the 6.5 Creedmoor, driving the 143-grain ELD-X bullets to just over the 2,950 fps mark. While the Creedmoor’s initial concept was to run properly in an AR-15 magazine, the 6.5 PRC is designed for the bolt rifles, albeit a short action rifle. The case measures 2.030”, with an overall length of 2.955”, and uses the same 0.532” case head diameter of the magnum H&H cases and so many of their derivatives. The 6.5 PRC shares the same case head diameter as the .375 H&H Magnum, at 0.532”. Those of you who’ve followed the modern 6.5 developments might be throwing the challenge flag right now. “Doesn’t the 6.5-284 Norma give nearly the same exact ballistics?” Well yes it does, at least on paper. While the 6.5-284 Norma (my personal favorite of all the 6.5mm cartridges) will come very close to producing these ballistic figures, to really get there with the same projectiles you’ll need to seat the bullets out a bit further than a short-action magazine will allow. My own 6.5-284 Norma is built on a long-action receiver, and while I do adore the performance, I must admit the 6.5 PRC gets the job done better in a shorter receiver. 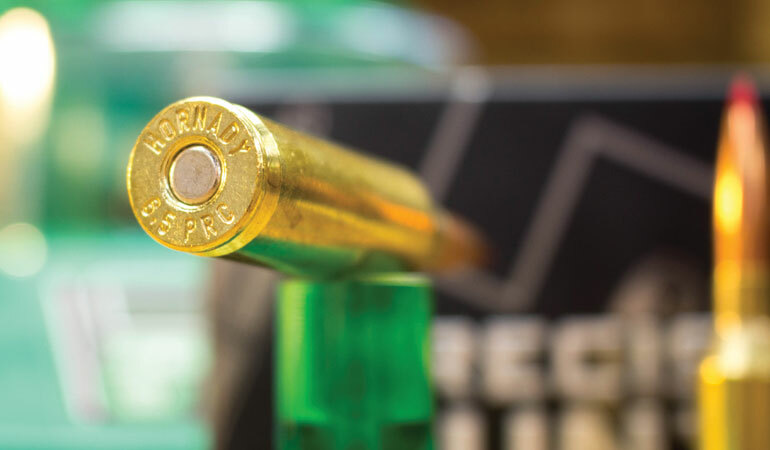 The PRC’s barrels are specified to have a 1:8” twist rate, giving optimum stabilization for the longer bullets like the 147-grain Hornady ELD Match. The 30-degree shoulder not only gives excellent headspacing for the beltless cartridge, but gives a bit more room in the case. At first glance the 6.5 PRC is immediately reminiscent of the WSM line of cartridges, in that it presents the same short, squat look; however, when compared to the .300 WSM, you can see the datum line – distance from cartridge base to shoulder – has been pushed back for the 6.5 PRC. This is invariably tied to the need to maintain proper seating of the long, high B.C. bullets in a short-action magazine. Perhaps that change on datum line makes a difference, I immediately noticed that the 6.5 PRC had none of the feeding issues I've encountered with the WSMs, at least not in the Montana Rifle Company AHR that I have for testing. The 6.5 PRC feeds like a dream from that rifle, although the diameter of the cartridge only allows for three cartridges down in the magazine. A Family Portrait, the 6.5 PRC, .300 Ruger Compact Magnum, .300 WSM, and the one that started it all, the .404 Jeffery. 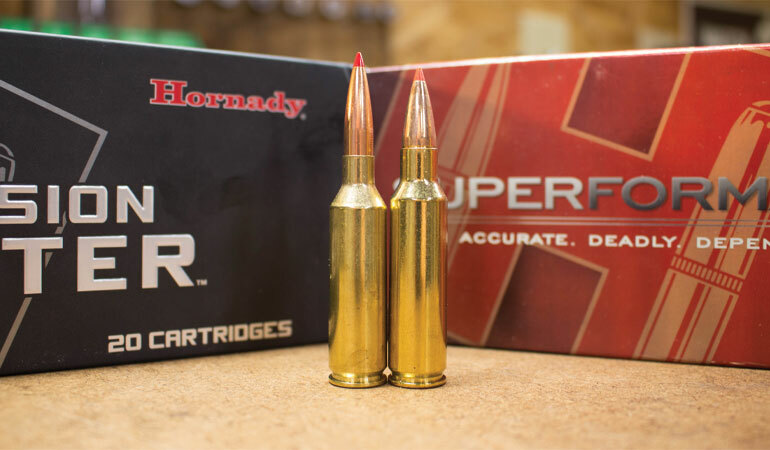 The Hornady factory ammunition will give a trajectory which nearly mimics the .300 Winchester Magnum with 180-grain bullets, at least out to 400 or 500 yards. 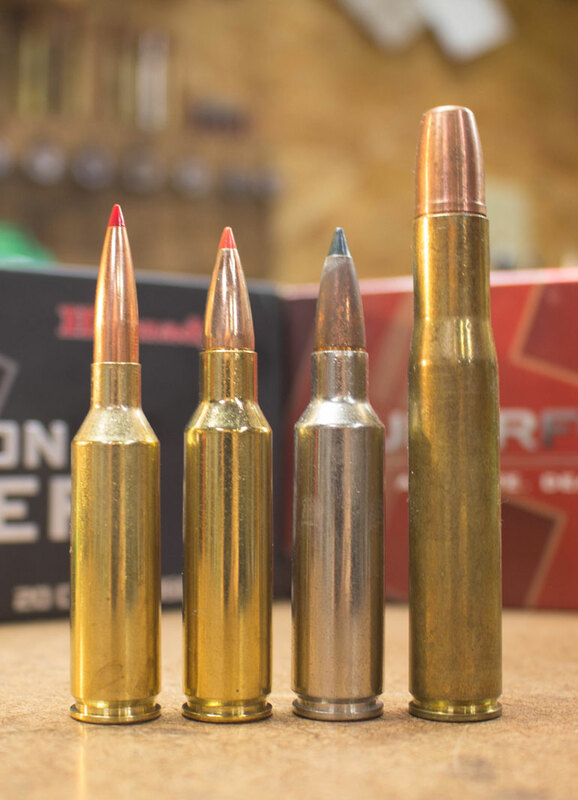 However the felt recoil of the 6.5 PRC is much less than that of the .300 Winnie; so for game up to and including elk, the 6.5 PRC will make a good choice as an all-around cartridge. With a 200-yard zero, expect 6.5” of drop at 300 yards, 19” or so at 400 yards and a yardstick of drop out at 500; this is a time-proven trajectory for hunters who limit themselves to sane hunting ranges. I’ve found with a trajectory this flat, if I have to hold off fur, I need to get closer. I also appreciate the fact that a muzzle velocity of 2,900-2,950 fps tends to extend barrel life considerably, when compared to the flamethrowers that run at 3,200-3,400 fps. So, is the 6.5 PRC the perfect incarnation of the 6.5mm cartridge? Well, not necessarily. Is it a cartridge that is unnecessary? No I don’t that’s the case either. 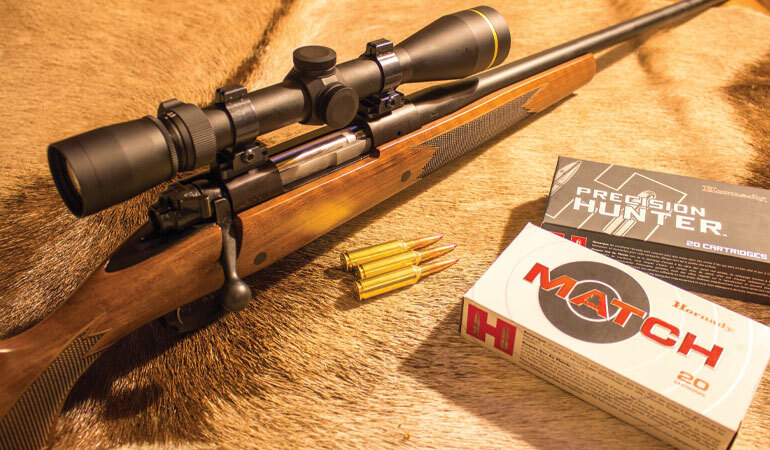 I think the 6.5 PRC is one of few examples of what represents what we hunters and shooters have always pursued: a cartridge that is easy on the barrel, easier on the shoulder, and gives the type of trajectory that is noteworthy. While it hasn’t exactly drawn me over from camp 6.5-284 Norma, I do see the benefits of the 6.5 PRC for a shooter who hasn’t gotten into the 6.5 game. It will handle the hunting situations and target situation equally well; if you’re making the mental comparison to the Creedmoor, I feel the PRC is a better choice for doing double duty. However, if you own a 6.5x55 Swede, or a 6.5-284 Norma, I don’t see enough of a difference in performance to make the leap. An exploded view of the 6.5 PRC, note the long. high B.C. bullet. All in all, the 6.5 PRC is a good design, one that offers a respectable balance of velocity and manageable recoil. It is more than just the WSM cartridge necked down to 6.5 – though that wildcat did show its merits – and Hornady has thought this out well. Will it be a top-seller a decade from now? Only time will tell. The WSMs – as well as the Ruger Compact Magnums and Remington SAUMs – have seen an audience that has all but lost interest; but the 6.5mm has a different appeal. My prediction is that as long as ammunition stays readily available, the 6.5 PRC will continue to please hunters and target shooters.